Factory assembled contract furniture range with following specification; Carcase: 15mm board. Construction: dowelled glued & screwed. Drawers: metal sides with easy glide roller runners & 15mm base & back. Hinges 170 degrees all metal with reinforced plate. Locks: optional locks can be fitted on request. 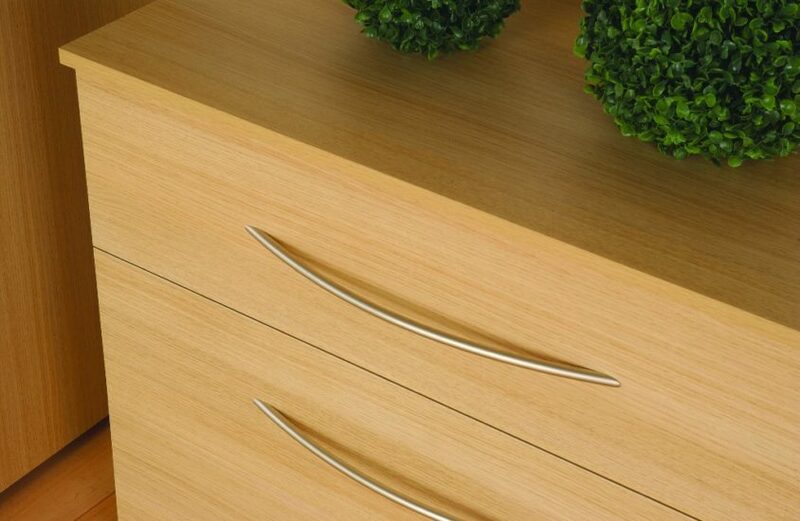 Comes standard in maple (see photos) & also available in light oak or beech veneer.